Oh, that's a provocative heading, isn't it? I could have written something like: "What would Manuel García think about a lip trill?" but that would have been a cop-out. Sometimes you just have to have the courage of your conviction, right? And my conviction is that lip trills are stupid. Why? I can think of several reasons, the most important being that a lip trill doesn't teach the singer anything about vowels. Nor does it teach the singer how to breathe. Let's take the latter point first. What happens when the singer performs a lip trill? Most often, the rib cage falls rapidly like a wheezy bag. And if it doesn't, that is because it is being held up artificially. Neither is desirable. This leads to my first point. The Old School was fanatical about 'pure' vowels based on Italian tonal values. When you obtain them, the rib cage is observed to refrain from wheezing or collapsing like a house of cards. Why? The ear leads the body to do everything to keep pure vowels going. 'Support' is a result, not a cause. I think lip trills are a waste of time. They postpone the most necessary skill, which is to pay attention to your vowels. No, not your tone. Your vowels. In the end, whether you are amateur or professional, that's what you have to learn to do. The art of song is in a wretched condition; it is sapped to the very foundations. One can no longer distinguish between good and bad. There is an absolute dearth of competent teachers, and the public lacks the exalted taste that might enable it to confer an education upon an artist. Nowadays everybody gives singing-lessons; every teacher of the violin or trombone undertakes to bring forth pupils in six months — or less. Only to touch upon the question of time, let me say that, in my judgment, at least two or three years of study are needed: two for the concert singer, three for the operatic artist. But nothing very definite can be set down in this respect. If I were asked to describe a general plan of study, I should allot one year to working the organ; eighteen months to acquiring enunciation, sentiment — style, in brief; then Haydn, Mozart, and Gluck, the masters I love and revere, should be studied. In these latter days the coup de glotte, the glottis stroke, has been much discussed. I should do away with the term altogether; the word coup is brutal. I should call the operation serrer la glotte, drawing it together as the flutist and oboist draw their lips. The glottis and the vocal cords in the larynx are the seat of the voice. No musical sound can be emitted without closing the glottis; the air that passes through it when open takes away half the breath, lessening the beauty of the tone while making the breathing too short. Teachers talk of working the voice three or four hours a day. A student should use the voice one hour a day, and the intellect the remainder of the time, carefully noting down in writing the instructor's counsels. The organ must be worked without words, so as to render it supple and even, that it may not include one weak tone. All the strings of the instrument should be good. After a few months' practice the pupil will be able to speak with the vocal cords in a state of tension, and not with the open glottis. The English system of education, which forbids a child to talk loudly, causes paralysis of the organ from want of use, whence the lack of good voices in England. Just now the finest voices come from Australia; the United States stands next for productiveness. In Italy, where the art of song has sunk to the very depths, the male voices are the best, and are much more easily handled than the female voices. 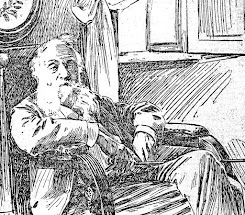 I referred just now to the incompetent teacher; I should have added that the bad results of his work have been helped by the physicians and surgeons that have of late interested themselves in the study of singing, and that give advice and even write out exercises for singers, which the latter would do wisely never to heed or study. 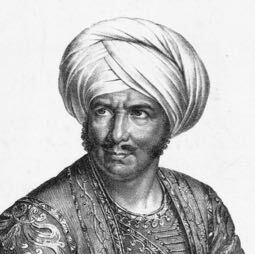 Garcia's great discovery of the laryngoscope has worked much injury to the art of song, in that it has made ignorant instructors subordinate individuality, which is of capital importance, to physiological facts. Nowadays many people strive to build up mediocre voices; formerly, only good voices were chosen for cultivation. The student should be warned, too, against the new methods invented by teachers that seek to make themselves interesting. Knowing naught of the emission of the voice, some make the pupil attack the tone on "la-la-la," "ga-ga-ga," "ra-ra-ra," and so on, while others have the student close the mouth and sing "m-m-m" or "ping-ping-ping." All this is supremely ridiculous. To unite the tone and the word, I recommend the practice of singing in Italian, for the emission of Italian carries the emission of the tone forward, and prevents its direction toward the soft palate. When the voice goes toward the soft palate, the voix blanche, the white voice, is the outcome. And lend no ear to those that advise you to practise with a smile. First of all, this gives the voix blanche; next, it causes the smile to become set, and one never gets rid of it. The singers of the day sing the music, and not the words. To master the text, one should begin by speaking it aloud, seeking out the appropriate dramatic inflections that must afterward be imported into the song. The recitative is the test of all great artists; it must be brought forth naturally and without false intonations. The greatest artist is the one that comes nearest to nature. What has the future in store for song and its representatives? A composer that will illume the darkness by music uniting vocalization—not vocalization in the ancient, exaggerated, and bad style, but pure song— with dramatic feeling and expression that will predominate without, however, excluding all else. As for incompetent teaching, why not combat its demoralizing influence by having instructors submitted to examinations as to individual talents and results attained through pupils of different types as to voice and characteristics? Freedom is a great boon, but freedom in the imparting of the art of singing too often means baneful license. 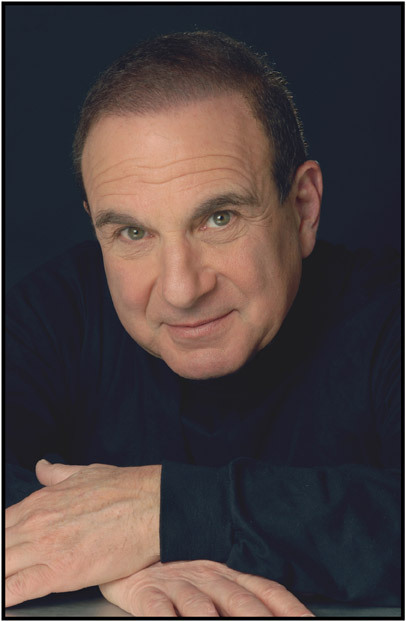 The New York Singing Teachers Association invited the incomparable Martin Katz to give a two-hour masterclass last night at Columbia Teachers College on 120 Street. This was made possible since Katz is in town appearing with tenor Lawrence Brownlee at Zankel Hall. Kudos to NYTSA's board and Judith Nicosia for making this event happen. I've heard Katz in recital many times over the years - most recently with Frederica von Stade at Carnegie Hall. He never disappoints. Nor did he last night. 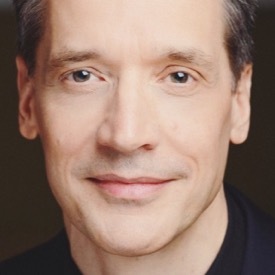 Having sung for him in a masterclass at Westminster Choir College when I was a graduate student, I knew what to expect: adroit, masterful instruction and text driven performance. He really isn't happy with anything else. Katz is a trigger happy man, that is, he wants to know what you are thinking about when you start a song. To find the trigger, the thought that brings the song to life, you have to know the lyrics backwards and forwards. You have to have a point of view - and a strong one at that. Stand there and do nothing but make pretty sounds? You are skating on thin ice. Katz was specific, working with each singer (there were five) to bring out the meaning of the text. 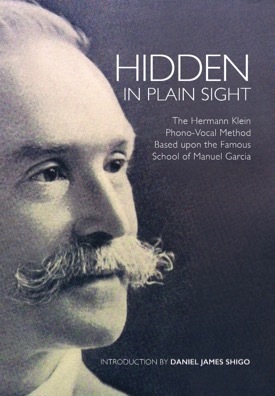 He emphasized the need for 'glottal' attacks in English and German repertoire, sustaining of the vocal line when the composer has placed a rest in the middle of the lyric ("You must make the poet happy: a rest is just a rest, not a lunch break! ), bending the music to make sense of the words, and modulating the voice to bring out character. If the poem is about a young girl, it really doesn't serve the text to sing with the rich tone of a mature woman, does it? 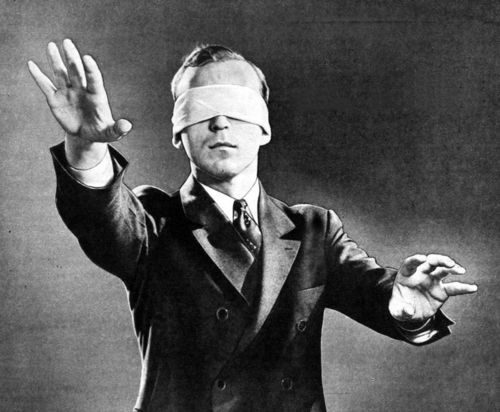 You'd think these things would be common sense, and that would be so for those who have studied their texts closely, but this is not always the case, especially for those with a 'voice,' or for voice teachers endeavoring to help singers with vocal technique, the latter sometimes forgetting the big picture. (This is why the Old School insisted on technical proficiency before allowing the singer to essay any repertoire.) Once technical matters are secure, pianist and singer have the unique luxury of thinking about details in a way that other collaborators do not. Why? They have words to deal with. Katz's detailed instruction reminded me of another great American artist: Liza Minnelli. I caught her on the Actor's Studio last week. Minnelli spoke about being specific when singing a song, and finds her triggers - to use Katz's word - by creating a song book. One side of the page contains the lyrics, while the opposite side contains the song's 'backstory' written in detail. This is something classical pianists and singers could do as well. What's the point here? Great art, regardless of its genre, is made up of emotion and meaning, and rooted in specifics. This is what makes it universal. Katz has written his own book, The Complete Collaborator: The Pianist as Partner (2009), which you can find here. Lastly, there is something quite wonderful in seeing a master craftsman at work. Katz reminded me of why I wanted to sing, and why being a singer means being a life-long student: there are more songs to sing. Risë Stevens, the internationally renowned mezzo-soprano who had a 23-year career with the Metropolitan Opera, where she practically owned the role of Carmen during the 1940s and ’50s, died on Wednesday at her home in Manhattan. She was 99. Her son, Nicolas Surovy, confirmed the death. On the Met’s roster from 1938 to 1961, Ms. Stevens was a superstar in an era when operatic superstardom was conferred mostly on soprano sand tenors. A Bronx native from a modest background, she was widely admired as a populist who help democratize the rarefied world of opera. 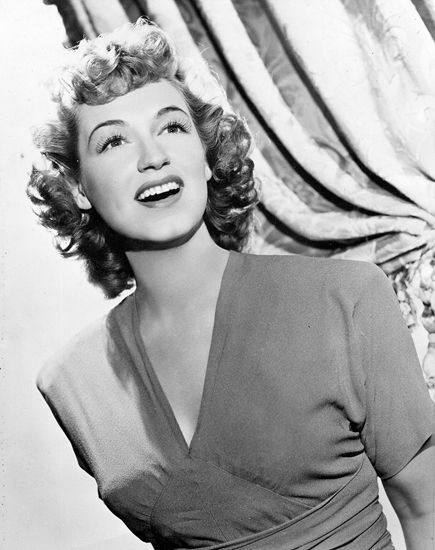 She was known to a large public not only through her recordings and recitals, but also through her appearances on radio and television and in motion pictures. After retiring from the stage, Ms. Stevens had a prominent second career as an arts administrator with the Met and as president of the Mannes College of Music in New York City. 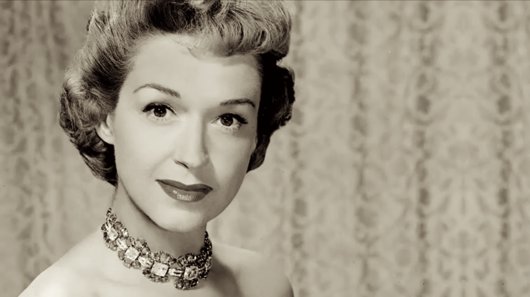 As a singer, Ms. Stevens was known for her acute musicianship, her expansive repertory, her accomplished acting and, in particular, her warm, velvety voice. (In 1945, Lloyd’s of London insured her voice for $1 million.) 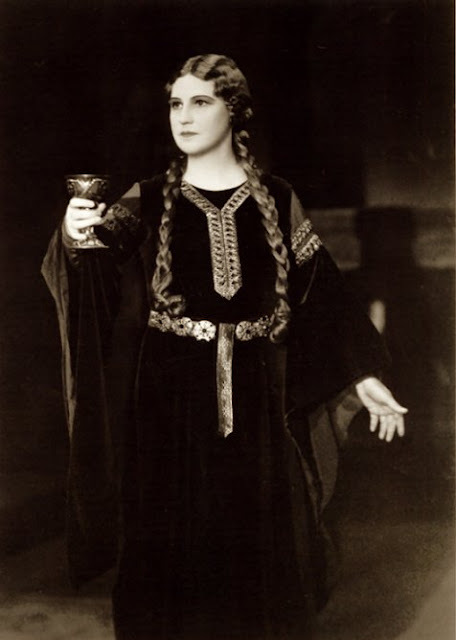 Though she occasionally sang Wagnerian roles early in her career, she soon abandoned them in favor of the less heavy, though no less rich, parts to which her voice was ideally suited. Besides Carmen, her best-known roles included Octavian in“Der Rosenkavalier,” by Richard Strauss; Dalila in “Samson et Dalila,” by Camille Saint-Saëns; Cherubino in Mozart’s “Marriage of Figaro”; Prince Orlofsky in “Die Fledermaus,” by Johann Strauss; and the title role in“Mignon,” by Ambroise Thomas. The daughter of a Norwegian-born father and an American Jewish mother, Risë Gus Steenberg was born in the Bronx on June 11, 1913, and reared in a railroad apartment there. (Her given name is pronounced REE-suh; her middle name was after an aunt, Augusta.) 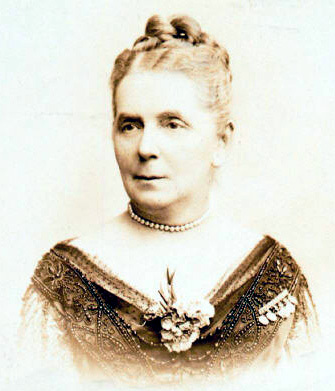 Her father, Christian Steenberg, was an advertising salesman and by all accounts a heavy drinker. Her mother, the former Sadie Mechanic, recognized Risë’s vocal talent early and was an enthusiastic steward of her youthful career. As a girl, Risë earned a dollar a week singing on “The Children’s Hour,” a Sunday-morning program on the local radio station WJZ. (The program’s host was Milton Cross, who later became famous as the voice of the Metropolitan Opera’s Saturday-afternoon radio broadcasts.) She took the professional name Risë Stevens as a teenager. When Risë was 14, the family moved to the Jackson Heights section of Queens. By the time she was 18, she was appearing regularly, sometimes in leading roles, with the Little Theater Opera Company, a Brooklyn troupe. (The company was later known as the New York Opéra-Comique.) In the audience one night was Anna Schoen-René, a well-known voice teacher on the faculty of the Juilliard School. She began teaching Ms. Stevens privately, and arranged for her to attend Juilliard on a scholarship, starting in the fall of 1933. Ms. Stevens spent two and a half years at Juilliard, where she continued her studies with Mlle. Schoen-René. Though Ms. Stevens had been considered a contralto, Mlle. 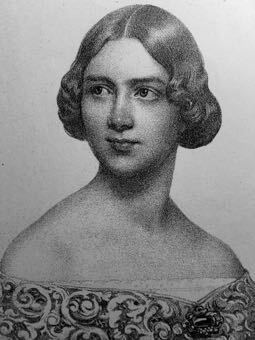 Schoen-René discerned her true vocal register and helped lighten her voice for mezzo roles. In 1935, financed by Mlle.Schoen-René, Ms. Stevens spent the summer at the Mozarteum in Salzburg, Austria, where her teachers included the distinguished soprano Marie Gutheil-Schoder. 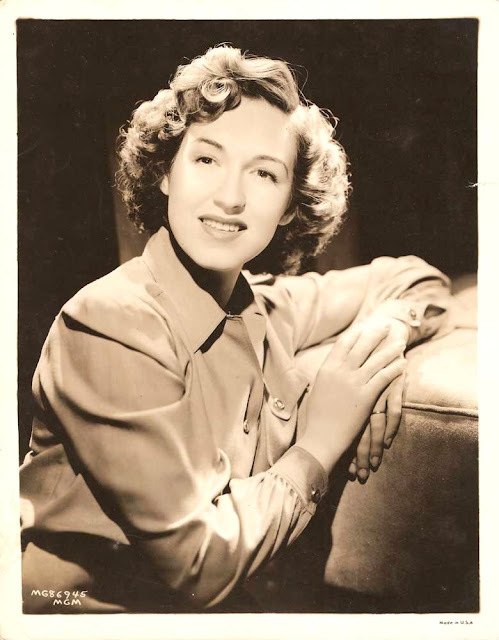 Returning to New York, Ms. Stevens entered the first Metropolitan Opera Auditions of the Air in the winter of 1935-36. Broadcast live on the radio, the auditions offered the winning singers one-year contracts with the Met. Ms. Stevens lost, though a few months later, when the Met asked her to sing Orfeo in Gluck’s “Orfeo ed Euridice,” she declined. She realized, she said afterward, that she was not yet ready. Ms. Stevens returned to Europe, making her formal operatic debut in Prague, as Mignon, in 1936. Joining the Met in 1938, she made her first appearance with the company on Nov. 22, singing Octavian out of town in Philadelphia. On Dec. 17, she performed for the first time on the Metropolitan Opera stage in New York, singing Mignon. 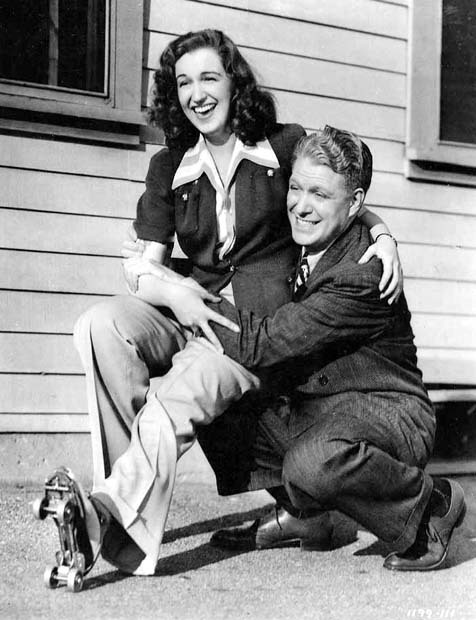 In 1939 Ms. Stevens married Walter Surovy, a Hungarian actorwho was later her manager; they remained married until his death in 2001. Besides their son, Nicolas, a film and television actor, Ms. Stevens is survived by a granddaughter. In her nearly quarter-century with the Met, Ms. Stevens was most famous for Bizet’s “Carmen.” She sang the title role 124 times with the company, many of them opposite the distinguished tenor Richard Tucker as DonJosé. Over time, Ms. Stevens forsook the traditional interpretation of Carmen as a saucy temptress, playing her instead as “hard, calculating, tough and one step away from a prostitute,” as The International Dictionary of Opera said in 1993. Ms. Stevens retired while still in her prime. Her last performance with the Met was, fittingly, as Carmen, on April 12, 1961. In 1964 she was named, with Michael Manuel, a general manager of the new Metropolitan Opera National Company, a touring ensemble. (Lacking funds, the company folded in 1967.) Ms. Stevens was later the executive director of the Metropolitan Opera National Council Regional Auditions. In 1975 Ms. Stevens assumed the presidency of the Mannes College of Music, a small, prestigious conservatory in Manhattan that is today part of the New School. She helped the college overcome a potentially crippling budget deficit and recruited world-renowned musicians, including the pianist Vladimir Horowitz, to the faculty. She resigned in 1978, citing intractable differences with some members of the school’s board. Among Ms. Stevens’s awards are an honorary doctorate from Mannes in 1980. In 1990, she was an honoree of the Kennedy Center in Washington. 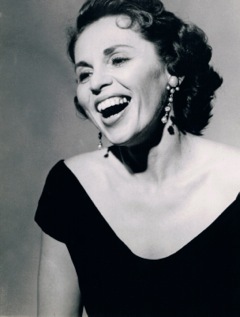 On records, Ms. Stevens sang Hänsel in the Met’s first recording of a complete opera, Engelbert Humperdinck’s “Hänsel und Gretel,” in 1947. Her many other recordings include the Kurt Weill-Ira Gershwin musical “Lady in the Dark” in 1963. She was the subject of two biographies, “Subway to the Met” (1959), by Kyle Crichton, and “Risë Stevens: A Life in Music” (2005), by John Pennino. In Ms. Stevens’s 351 regular appearances at the Met, her professionalism was perhaps never more apparent than it was in one of her many productions of “Samson et Dalila.” Playing the temptress Delilah, Ms. Stevens reclined on a chaise longue to sing the aria “Mon coeur s’ouvre à ta voix,”among the most famous seductions in opera. One night, overcome with theatrical passion, Samson flung himself onto her mid-aria. Samson did not know his own strength. Under his considerable force, the chaise longue, on casters, began to move. Ms. Stevens sailed offstage and into the wings, still singing. I wrote her a letter and she called me. It's as simple as that. It was March 30th, 2001. Stevens was at home, consumed with being her husband's caregiver, so didn't have the energy to meet face to face, but did want to talk about her teacher Anna E. Schoen-René. Like Judith Doniger, who I subsequently spoke with, Stevens reiterated how Schoen-René changed her life: "I doubt that I would have gone into opera without her. I wanted to go into Broadway. Glamour! In those days, all those things were very exciting!" 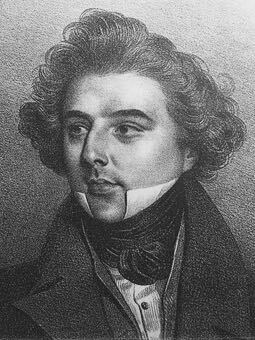 Schoen-René heard Stevens sing with the Opera Comique in New York when the latter was 17. Stevens was the understudy for a woman that was studying with Schoen-René, so her future teacher attended the performance expecting to hear someone else. Afterwards, Schoen-René sent word that she "wanted to see that girl." Stevens went to Schoen-René's apartment and told her future teacher that she could not afford lessons. Schoen-René told her not to worry about the money. She would take care of it, and did just that, obtaining a scholarship via Eleanor Steel, who was also a student, and the leading soprano with the Opera Comique. And so it began: Schoen-René told Stevens that they would work for a year and see what happened. Stevens sang nothing but scales for that year. Very slow scales at first, "getting the chest tone into the middle register...it had to be a smooth change." One morning she came in early, and sang difficult ones. Stevens, buckling under the pressure, said that she couldn't do them, whereupon, Schoen-René stopped the lesson and told her to leave. Stevens found herself in the hallway crying. After 10 minutes, Schoen-René let her back in with the proviso that she never, ever say the words 'I can't' again. "It was great training! She was a very strict lady." The second year, Schoen-René allowed Stevens to sing a few select arias. Then she auditioned for the Juilliard School. "I sang the Favorita aria and Orfeo." Sembrich, Rogers and Florence Page Kimball heard her audition, the later telling Stevens she had a scholarship. This impropriety made Schoen-René think Kimball was trying to poach her student. Schoen-René zero'd in on problems. She also was demanding. "Things were expected of you that were incredible." She was also after quality. It had to be mellow. "She wanted you to listen, didn't like a tone that was strident, or had no vibration in it—a dead tone." There couldn't be any strain. Nor could the tongue shake or be in the way. It had to be quiet, as did the jaw. She watched Steven's face, playing scales which Steven repeated. That's how it went. Over and over and over again. According to Stevens, Schoen-René advocated a certain expression - a certain feeling in the face, which readers of this blog will know as the 'imposto' of Lucie Manén, an expression which Judith Doniger and Margaret Harshaw both demonstrated in this writer's presence without using Manén's term (I was present, however, when Harshaw held Manén's book in her hand and gave it her critique). However, Schoen-René would stop you the moment you made any facial contortions. She wanted everything to be 'natural'. 'Breath' was Schoen-René's preoccupation. She had Stevens sing Bach in order to be able to sing long vocal lines, which were taxing. "You were never conscious where you were breathing. It had to be a natural phenomena with no sound whatsoever. No gasping or raising of the shoulders." She taught Stevens to breathe without raising the chest, meaning that the chest had to be open before you took a breath. Then Schoen-René would have her hold tones for as long as possible without tremolo, though she also had to have her natural vibrato. "I worked so hard on the breath, I thought I was going to burst!" Voice placement? She wanted a beautiful round sound and used lots of 'M's' and 'N's' to obtain it. "Oh Risé!" Schoen-René would say. "Remember what you did! That was beautiful! She knew what to do about it. She told me that Viardot had that resonance." 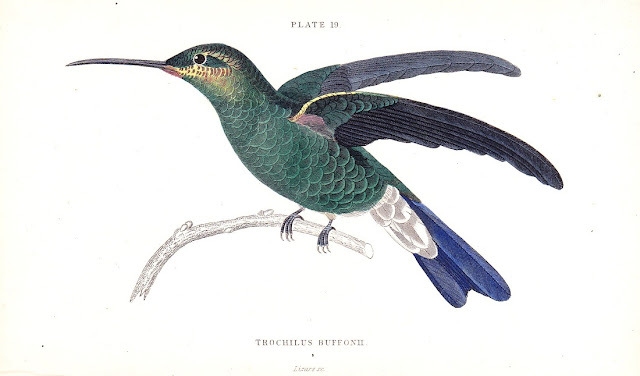 Schoen-René was meticulous in her explanations about things; what you should do and not do. You sang toward the bridge of the nose. Everything had to be in the "mask," with Schoen-René prohibiting Stevens from using a "wide" sound as she went up the scale. "I want that covered." Schoen-René would say. "I want a more luscious sound." In talking with other students, Stevens learned that her teacher taught each student according to their need. Schoen-René didn't speak to her about raising the cheeks, soft palate, or an open throat. None of that. Schoen-Rene told her that she had a natural talent. We only spoke once. Then I saw her a few years later at a gala given for her by the Metropolitan Opera Guild at the Time Warner Building. She appeared onstage, gracious and radiant, in a glittering gown after being introduced by her friend Van Cliburn. Both known for their beautiful tone, both are now gone. To my knowledge, Risë Stevens is the last remaining musical grandchild of Manuel García and Pauline Viardot-García. It is the end of an era. The National Endowments for the Arts Opera Honors interviewed Risë Stevens in 2011, which you can view below. Stevens' reflection on being President of Mannes College is especially interesting. She notes that the conservatory system, with its emphasis on scholastics, was not how she was trained. Of course, Stevens' training was of a very different nature than that of students today. She had two lessons a week with Schoen-René at Juilliard, who, as I've noted, kept her on a diet of scales for a year before assigning repertoire. This simply doesn't happen today. The conservatory system doesn't allow for it. Now, there is a graded system of repertoire that must be completed, often, at the expense of the singer's vocal technique, which is considered another cog in the wheel rather than the engine that keeps the car running. This writer, of course, wonders if the difference in training is responsible for the much-criticized homogeneous sound on today's stages. Note April 10, 2017: The National Endowment of the Arts video link that was part of this posts' original format is no longer available. Labels: Anna E. Schoen-René, imposto, Judith Doniger, Lucie Manén, Manuel Garcia, Margaret Harshaw, Pauline Viardot-Garcia, Risë Stevens. Brigit Nilsson was famous for saying that what one really needed for the role of Isolde was a comfortable pair of shoes. Of course, anyone who has a dedicated yoga practice, or has sung a major role in a musical or opera knows the meaning of "effort." There is that moment when the body meets the mat or stage, breath is taken, and one does what one does—or has learned to do—as a result of long practice. What gives the yogi or singer a sense of ease in performing their chosen tasks? The balance of two great forces: extension and flexion. "Effort," for many voice students, is a matter of flexion, of a tensing and shortening of muscles of the body. It also conjures the word "support," which is quite the catch-all term. However, flexion is only half of the equation, extension being the necessary prerequisite for balanced movement. The analytical mind closes the ear and face, pulls the head down, shortens the spine—which is the very opposite of extension, and dampens the sights and sounds of one's environment. This is a good thing if you are trying to parse the grammar of a sentence, write computer code, or figure out the plot to an Agatha Christie novel. As such, the mind is engaged in a closed-system response, one that crowds out a great deal of stimuli. Why is this? Analysis isn't intent on communication. To sing while analyzing? Deadly. It's like driving with the brakes on. Singing requires an open-system response, one that involves both auditory and physical extension. Calling, psychologically speaking, is about connecting to another human being, which is why "call" and "response" is an ancient method used by vocal pedagogues. To extend physically? This involves the spinal erector muscles, which is less a forcing of the body into a vertical position—i.e. imposing military posture—than it is a by-product of an open ear. What causes the ear to open? The desire to communicate clearly. Awe and wonder enable it, which is reflected in the vowel /o/. Put your hand on the back of your neck. 'Call' /o/ as though having seen the most amazing sight or person. Sustain your /o/ for at least 6 seconds. If done with utmost and sincere attention, you will feel the spine extend both up and down, and the ribcage open. If you are watching in a mirror, you will see the area around the eyes and upper lip widen. This is evidence of an open ear. The higher the vocalization, the greater the extension of the spine in both directions. Instead of experiencing extension, the singer who experiences effort feels the constriction of contraction. Relaxation, however, doesn't help him, since relaxation has little to do with extension. Extension involves innervation, not relaxation. Of course, the mind can do curious things. It can suppose that effort is a sign of progress, a heroic journey, and something to be cultivated. It can even suppose that effort is a sign of real meaning. The Old School taught that singing should not entail more "effort" than what is needed to speak (speaking resonantly is its own teaching, it should be noted). Why the need to make it more complicated that that? Tomatis observed that the muscles of the ear have everything to do with the activity of extension and flexion in the body (stapedius & tensor tympani). The more I teach singing, the more I see that he was correct. Both yogi and singer seek extension, if only to lift and spread their wings. 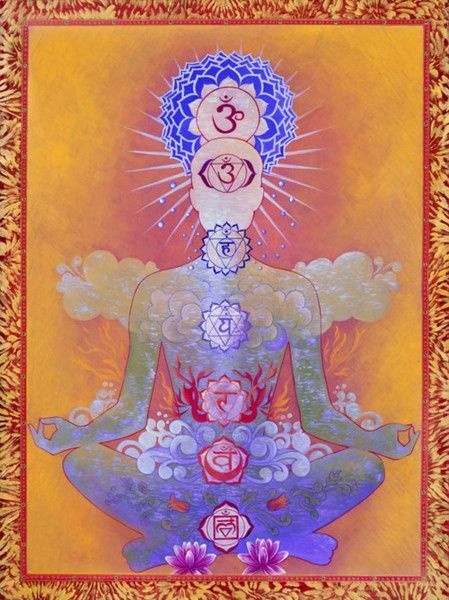 If you practice yoga, and are familiar with the chanting of 'aum,' you will probably realize that it starts with /o/. Do it with extension, clarity and devotion. I can't think of a singer onstage today that I admire more. René Pape's voice is rich, full, free, clear and intensely vibrant. You hear every word the man utters; you see his concentration; you are aware at every moment that he embodies what every singer strives to obtain. No, not a big voice, though he has that certainly, but rather—artistry. Watch the man's face. See how he listens. It's all there; the concentration, innervation, and open face. What are the tell-tale signs? The upper lip is wide, and the whole facial mask extending behind the ears—the nose being the center—is busy lifting. Now, should you screw up your face and sing? Of course not. The subtle yet powerful changes in the musculature of the face are, for the most part, unconscious. They become evident when the singer divines the essential properties of each vowel—/i/, /e/. /a/, /o/ and /u/—and when the ear is fully open. Operatic bass René Pape and pianist Brian Zeger perform Franz Schubert's "Schwanengesang: Aufenthalt," D. 957 (Resting Place), Richard Strauss's "Zueignung," Op. 10/1 (Devotion) and "Some Enchanted Evening" by Oscar Hammerstein II. Recorded live in the Jerome L. Greene space on April 30th 2009. "The eyes look, but don't see," Ms. Harshaw said, right after I'd stopped singing. Observation or instruction? Both, I thought. She was telling me what it felt like—what it looked like—to listen with utmost concentration. She was also giving me a simple tool to enable concentration. Having already begun my career with NYCO at that point, I found myself using it in earnest. Singing onstage is like walking a tightrope; you have to have your wits about you and know how to stay balanced, both vocally and physically, or you will fall, crash and burn. "That's hard!" Says a young baritone with a beautiful voice, who's just finished singing octaves in mezza voce. The look on his face while singing? Eyes looking but not seeing. "No." He says, rather sheepishly. "What's hard about it then?" "I have to concentrate!" He laughs, half-embarrassed at what's just come out of his mouth. "Where is the locus of concentration?" This throws him for a minute, because he doesn't know the word. After that blank has been filled in (locus means 'place'), his hands start talking, hovering in front of his eyes. The Buddhist tradition has specific practices involving the "gaze" of the eyes during meditation. This can involve half-open and even fully open eyes; looking but not seeing, the practitioner draws his attention away from the visual field, not making a duality between inside and outside. This is what great singers do. When I starting wearing Phonak Audeo IX hearing aids four years ago, I was singing at New York City Opera, having weathered the previous season without them, and with loud invasive tinnitus ringing in my head (see my post on surviving tinnitus here). Of course, that was a trip. I was lucky however. After my sudden onset (ok, not so lucky), I only went a year before I started wearing them. I didn't wait too long: I didn't let my ear muscles go to hell. If you've been reading this blog, you have some idea now that listening and singing is an active process. The ear and the voice are indivisible. If the ear cannot hear certain frequencies very well, they won't come out of the larynx. This is, of course, the first law of Tomatis. As such, the two muscles of the ear—the tensor tympani and the stapedius—work in such a way as to be rudders in a sea of sound. They have the ability to zoom in on sound as well as ignore it. This is why the constant drip of a faucet can drive you nuts, and you can also sit in a noisy cafe, lost in a good book, oblivious to everything around you. The ear—like the eye—can focus or defocus. I thought of this matter of the eye and ear focusing when I was at the Y the other day for a swim. Sometimes I wear my contact lenses and sometimes I don't. When I wear glasses, I leave them in my locker when I go to the pool. I am near-sided, so everything is a blur without correction. Without it, I don't interact with people very much, nor do I give the life guard my usual "thank you" wave when I leave. Why? I'm too busy trying not to stumble, my head being glued to the floor in front of me. And that's how it is with hearing. Hearing loss changes the way you interact with the world. What does hearing loss do? It deprives the ear muscles of stimulation. Thus deprived, the muscles lose their ability to navigate the aforementioned sea of sound. What do hearing aids do? Stimulate the ear muscles. Do you see where I am going here? Most people don't know they have a listening problem until their ear muscles can't do their job very well, until "straining to hear" becomes the new normal. When that happens? Denial is often the first response. "No. This can't be happening. If I do nothing, perhaps it will get better. Maybe I just need more sleep." But it doesn't get better. Bargaining enters the picture, be it with God or simply waiting for a bargain (believe me: good hearing aids aren't cheap), which can waste years, even decades. "It's not that bad. My grandmother had hearing loss and she did ok!" Sure. She did great. She stopped talking on the phone, going to church, and became withdrawn. By the time most people obtain hearing aids (only 1 out of 7 people who need them wear them), their ear muscles can't do their job very well. Getting hearing aids after all that time? It's like having to run 5 miles, do 50 pushups and 20 pullups after not going to the gym for a decade. The ear is out of shape. Everything is too loud: words are jumbled, background noise is a problem, music sounds like noise, the whole thing is damn annoying. I didn't have any of these problems. However, I would have done things differently. I would have gotten hearing aids right away instead of waiting a year. As it is, my ENT told me that my hearing loss—which is minor—didn't exactly warrant them. It was just above the borderline. He told me that I might consider it if communication became a problem. The day my husband informed me that my speech was sounding a little funny? A little garbled? That did it. I knew what that meant having been to the Listening Centre in Toronto: I knew that the muscles in my ear were starting to "slip." Of course, I also wanted to find a way to treat my tinnitus. While my hearing aids didn't help with that, my speech snapped back into place immediately after I put my hearing aids in. Why? The aids helped me hear through the cascade of ringing I heard in my head, which had a masking effect on my listening ability. Here's the thing: even with hearing loss, the muscles of the ear can still learn to do their job. They need stimulation to do that. Back to my gym analogy. Say you lift weights, but when you do your pull-ups, you only go half-way up. Of course, your "lats" will never get any bigger or more defined. Why? Your muscles aren't fully contracting. This is not unlike how the muscles in the ear work. Without stimulation, they can't contract. What leads them to contract fully? High frequencies. What are the first sounds to go with age? High frequencies. What do my Phonak hearing aids do? Amplify high frequencies up to 8000 Hz, which is where my tinnitus is loudest. Tomatis talked about "flabby'"muscles of the ear. I believe he was onto something. Now, I don't think you are going to find many audiologists or ENT's who have this perspective. Most think of the ear as a passive participant in the world of sound. Singers and voice teachers, however, know better. Why? The latter, especially, understand what it means to mold a person's listening ability. It's malleable. If you change the way a person listens to sound, you change the way that person perceives themselves. Singing is a psychological matter, not just a mechanical one. All this to say: you can sing with hearing aids, and you can sing very well. I am. Really. I am. I record myself at least once a week, and I sound very good for a 54 year old man. My voice isn't wobbling, nor it is dark, woofy and old sounding. Not bragging here, but I still sound very much like the guy on my two recordings on my voice studio website. Why? I like to think I know what I am doing technically, and yes—I sing my scales every day. Have I had my vocal issues? Of course. I've had to learn to sing with my aids, which has been a fascinating experience. It took me a while to get used to them. Now they are as much a part of me as my right arm. Some things to consider if you suspect you have hearing loss and are a singer. Get tested! Do it now. Don't wait. Find an audiologist who works with singers. A rare thing perhaps, but they are worth their weight in gold. Start by finding an ENT who works with singers. Ask for a recommendation. Get digital hearing aids. Yes. They are very expensive. But they are worth it. Mine are made by Phonak and designed with musicians in mind. They have two microphones. The sound is excellent. Yes. You can find good aids on Ebay, but you will need to find an audiologist who will agree to fit them. You may not, however, be able to return them. Terrified that someone is going to think you are old and that you can't sing well? That someone will see them? Get over it. Really. I can't say it any other way. I was concerned about this too. But I got over it. Heck. I dealt with being gay and found myself a lot happier. It's that same dynamic. Staying in the closet about hearing loss is self-defeating and ultimately debilitating. The more you let yourself be ruled by this "fear thought," the more you are shooting yourself in the foot. FYI: 9 out out 10 people aren't going to even notice that you have them. Really. I am not making this up. And that 10th person? They are self-aware and won't hold it against you. Digital hearing aids will have a "music program" as part of their software. I have this feature turned up. Why? It was cutting off when it reached a certain threshold, one which was too low for singing. You may need to inform your audiologist about this. You may even need to have the music program turned on all the time. Why? You will be hearing high frequencies—a good thing. Wear your aids all the time. There is no getting around this. Thinking of them as the car you drive only on weekends is counterproductive. Me? I put them in when I wake up, and take them out when I go to sleep (no...they don't go in the shower or the pool). The only way to get used to wearing them is by wearing them! Consider going to a Tomatis practitioner to give your ears a tune up. This will enable you to acclimate to your aids. Have your aids insured. This typically happens a year after you get them, when the warranty is up. Please don't be cheap and think you don't need it. You do. Sing with them! Yes. It's going to be different, perhaps even disconcerting, but it behooves you to get in the swim of things. The more you do it, the better it gets. Listen to music too. Lots of it. Mozart especially, which has been proven to have a beneficial effect. Just make sure you use good earphones, not earbuds, which are not good for your ears. Get used to the illusion of sound, that is, the corona of vibration surrounding your head. This is what those with excellent hearing and good vocal technique take as a matter of course. You don't want to smash your voice into the front of your face. Rather, you want to start hearing a clear, vibrant vowel that seems to be at the level of your ears and eyes, upper lip, and projects outwards. Having hearing loss isn't the end of the road. You can sing, and sing very well. You can also be a very good voice teacher. The key is to be proactive. Wagner's Liebestod. It comes at the very end of a very long opera - Tristan und Isolde. I'm assuming you know something of the work, yes? Well. I found myself listening to it on YouTube a few days ago, and one thing led to another. You know how it is. You listen to one thing, see those other singers in the right hand column, and before your know it, a good twenty minutes has gone by. Of course, this gave me an idea. Why not compare them? To that end, I have assembled six sopranos who were considered exemplars of the role (I am not sure Farrell sang it in the house however), presented in chronological order from available material. Of course, I have my preference, that being Kirsten Flagstad's rendition. Her voice was said to be oceanic, and hearing her here, I can quite believe it. One curious thing to pay attention to is the tempi. Whether it was the need to fit the work onto one side of the disk or not, the first two are much faster than the later interpretations. Is this quickness representative of how it was done in the theatre? That's what I'd like to know. So would those who have to sing it! Each singer has her quirks and vocal mannerisms. Each has the goods- as it were. What does it take to sing this music? The ability is sing in declamatory fashion with ease, a good deal of it in mezza voce manner - a tall order, especially after one has been singing onstage for a couple of hours. Technically speaking, this means being able to keep the vocal tube in it's longest length for a long time. As such, Old School teachers didn't allow their students to do this kind of thing until the student was nearing their 40's, when body strength was at its peak. I only met Carole once. But that meeting was momentous, taking place a year ago today. We were introduced by Jane Woodside, the widow of Lyndon Woodside, who had been a friend of Carole's for many years. Jane knew of my interest in historical vocal pedagogy, and suggested that I speak with Carole since the latter knew many luminaries in New York's musical scene. Carole, she told me, was one smart cookie. Nothing escaped her. She was a good voice teacher too. The three of us met on a Sunday afternoon at a French bistro on the Upper East Side. Jane and I got there first, Carole arriving a little later. When she entered the place, I knew Carole was someone special. She carried herself with great presence: silver hair swept up, spine straight as an arrow, face open and smiling. Introductions were made, and then time stopped for three hours while the conversation swept from Carole's arrival in New York in the early 1940's to the present. Carole never flagged, wavered or missed a beat. I mentioned a name half-way through our conversation, of someone I had found in my research; a long-fogotten direct disciple of the Garcías who taught in New York beginning in the late 1890's. The look on her face when I said that name is engraved in my memory. Her eyes got big as saucers as she took a deep breath, leaned back in her chair, mouth agape, and stared into my eyes for a long minute. When she did speak, she cocked her head to the right, looked at me with a quizzical expression, then leaned in and said deliberately: "I haven't heard that name in sixty years!" She knew. She remembered. She brought the past back to life, telling me about her musical life as a young woman, how her teachers taught, and how the world - both inside and outside the studio - had changed. It wasn't pretty, she thought. Students and artist managers were in a hurry, and learning to sing couldn't be hurried. It took a good two or three years of study to get things right. Sometimes longer. She never stopped thinking about singing, about the teaching of singing, about making music and art. It was her life. Carole taught voice to fifteen or so devoted students a week during the time I spoke with her, a significant thing for a person in their late 90's. She didn't stop living life. Her students? They adored her. And I could understood why. She was the real deal, knew her stuff, was loving, and had high standards. A classy and knowledgable woman, I wish I'd had more time with her, but am glad that our paths crossed if only for those three hours. She gave me quite a gift that day in being able to describe one of the García School's first representatives in New York City. No small potatoes that. Now is not the time to present that information, which will come in its own time. Right now, I want to remember and honor a most gracious, glamorous, generous and charming woman. What a classy dame, Carole O"Hara. My teacher showed me how to hum almost as an afterthought one day, the whole business over in a little over a minute. I didn't think much of it at the time: rather, I just did as I was instructed to do. Ok. That works. I get it. Years later, when I was at the Listening Centre in Toronto, her instruction came to mind in a big way. So that's what she was talking about, even though she didn't know Tomatis' work. I was shown what heightened bone conduction sounded like. What did my teacher have me do, that is, show me by example? Close my lips without closing my jaw. Place the tip of my tongue at the roots of the lower front teeth. Arch my tongue, placing it firmly on the roof of my mouth. What did I hear? My brain buzzing with vibration, from the middle of my head, and down into my chest. The Lamperti School was against humming, the great maestro sending you home if he heard you doing it in the studio. The Garcia folks? If oral history is any indication, they may have used it, though I have an interview with Pauline Viardot-García where she is asked about it, and she replies that her father didn't teach it. Oh, but isn't that clever? Her father didn't teach it. But did she and her brother Manuel? Was it handed down to their student Anna E. Schoen-René as well as others? There are hints here and there. Viardot-García's student Emi di Bidoli mentions it in her book Reminiscences of a Vocal Teacher (1946). 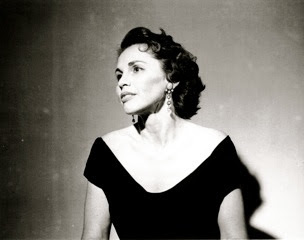 Ermina Rudersdorff, who Schoen-René touts as being the first García representative in America in her book America's Musical Inheritance: Memories and Reminiscences (1941), made it the basis of her vocal method (this method has the tip of the tongue placed on the hard palate rather than at the roots of the front teeth). There is also the famous voice teacher Wartel who studied with Nouritt, a student of the elder García. What started when? It's hard to know. But it does make the curious student wonder.